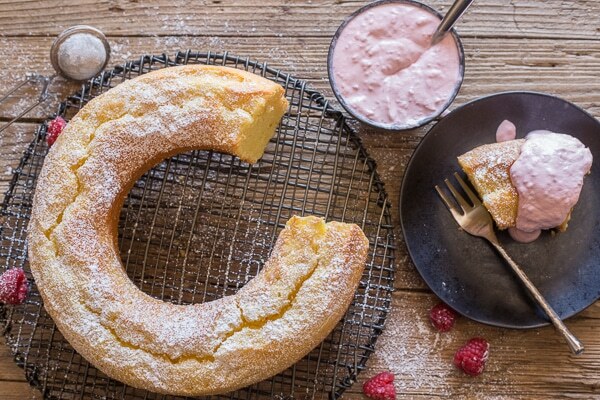 Mascarpone Cake, a moist Italian Cake perfect on it’s own or served with a fresh Raspberry Cream sauce. An easy and delicious Dessert recipe. Last year for father’s day we gave the Italian a couple of Raspberry bushes and raspberries they are producing. So I decided to make a moist Mascarpone Cake and serve it with a creamy Raspberry Topping. To tell the truth I really wanted a thicker cream but as it turned out this Raspberry Cream was really good. If you want a thicker sauce then just add less raspberries. 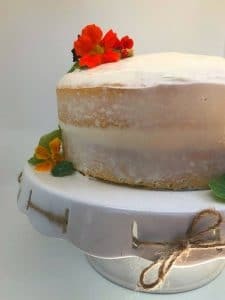 This month for my little get together with my three blogger friends they decided to celebrate my coming release of my “Authentic Italian Desserts” Cookbook by sharing Cake Recipes. Thanks so much everyone! 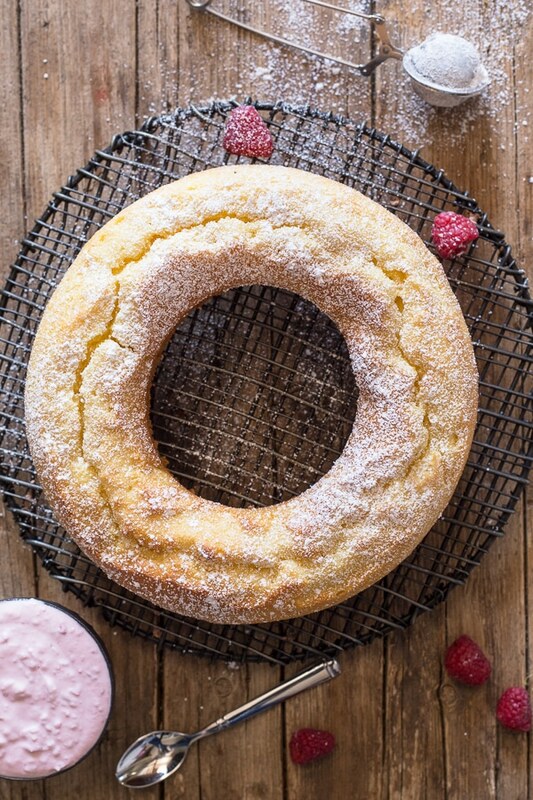 And I thought this Simple Mascarpone Cake would be the perfect way to celebrate. Beat in mascarpone, vanilla and oil. Add flour and baking powder and beat until smooth. Pour into prepared cake pan and Bake. 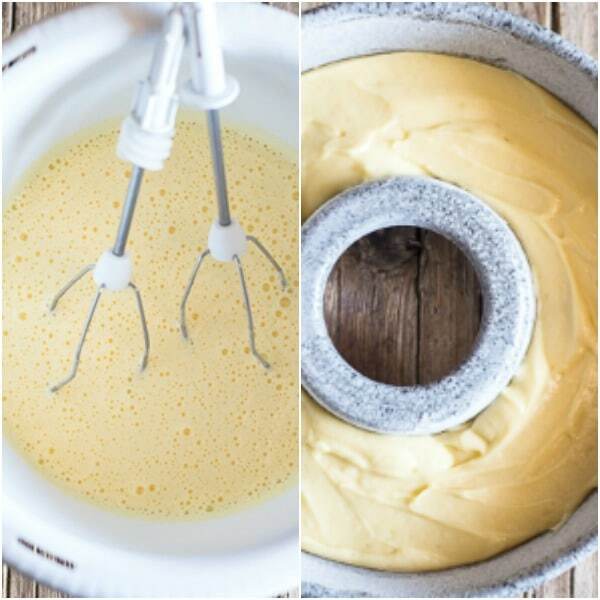 Fast and easy makes the perfect cake! Mascarpone is a cheese made from the processing of cream and citric acid (for example lemon juice), only two ingredients to make this creamy delicious cheese. Mascarpone originated from the Region of Lombardy, which is in the North of Italy. 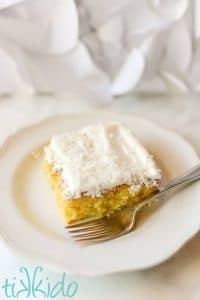 I love it and I try to use it as much as possible in my desserts. I find the taste more delicate and tastier than cream cheese. And of course Tiramisu ! 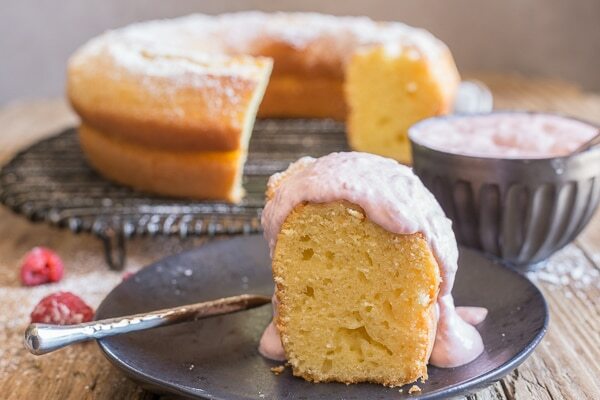 Whether you make this cake with or without Raspberry Cream or substitute another type of cream, whether you serve it for dessert or have a slice with a cup of coffee or tea, I hope you enjoy it! Enjoy. 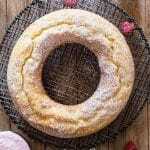 Mascarpone Cake, a moist Italian Cake perfect on it's own or served with a fresh Raspberry Cream sauce. An easy and delicious Dessert recipe. Pre-heat oven to 350F (180C), grease and flour a 9 inch cake pan or 9-10 inch bundt pan. 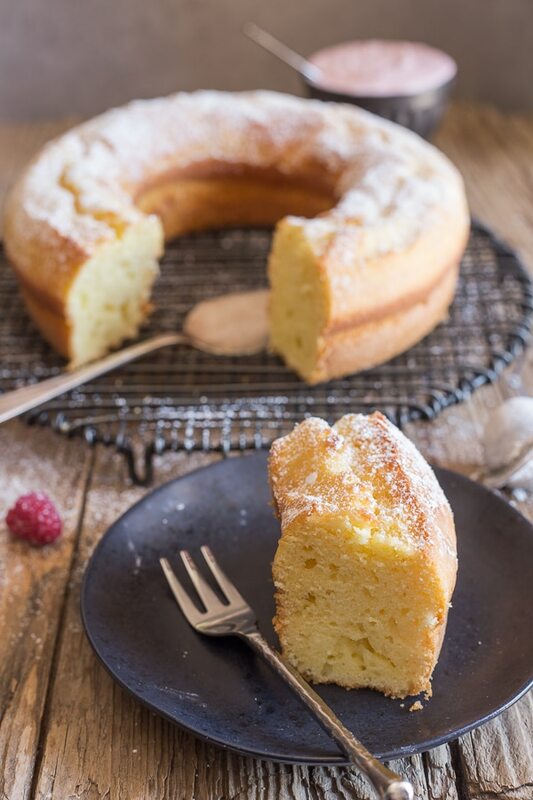 In a large bowl on medium speed beat eggs and sugar until light and fluffy (approximately 5 minutes), then add vanilla, mascarpone and oil and beat to combine, then add the flour and baking powder continue to beat until smooth. 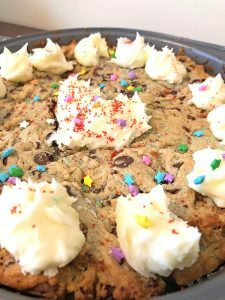 Pour into prepared cake pan and bake for approximately 30-40 minutes or until tooth pick comes out clean. Let cool completely, dust with powdered sugar and top with Raspberry cream if desired, serve. Enjoy! In a medium bowl add the raspberries and squish with a fork, add the cream and sugar and beat until thick. Refrigerate until use. THE TASTE CREATIONS BLOG HOP HAPPENS ON THE 1ST MONDAY OF EVERY MONTH. EVERY MONTH, MYSELF AND 3-4 OTHER BLOGGERS CHALLENGE OURSELVES TO MAKE SOMETHING WITH A CHOSEN INGREDIENT. HOPE YOU WILL CHECK OUT THESE RECIPES TOO. AND HAVE A GREAT WEEK EVERYONE! I made this today and we enjoyed it with our afternoon espresso! The family loved it! Thank you for a lovely recipe. Hi Anna, thanks so much, so glad you all enjoyed it. Have a wonderful Sunday. I just love all these recipes, can’t wait to try them all… If I could, I would make a different one every single day!!! Hi Missie, thanks so much, I hope you enjoy them. Have a great weekend.